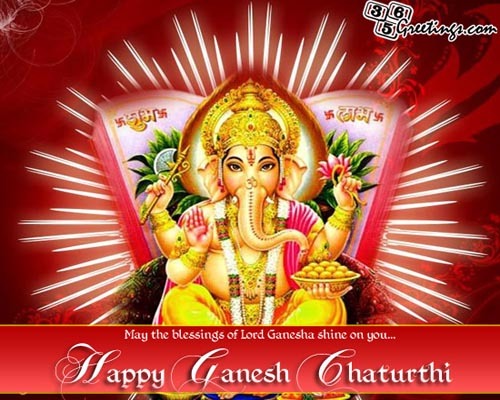 Ganesh Chaturthi is an auspicious day of celebrating the birth of Lord Ganesha, the God of Good Fortune and Prosperity. This day, people are greeting everyone a Happy Ganesh Chaturthi and wishing their friends and loved ones to be bestowed with immense blessings by Lord Ganesha. As part of the celebration, Hindu worship Lord Ganesha and different festivities are held. 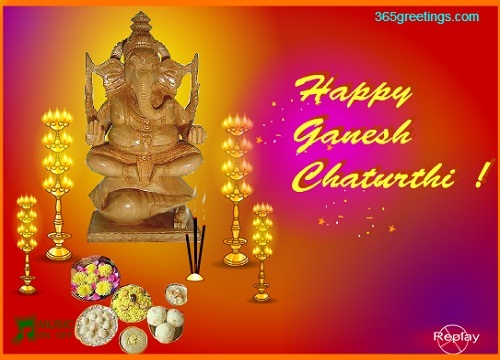 Ganesh Chaturthi, also known as Ganesha Festival or Festival of Ganesha, is usually celebrated between the month Bhaadrapada, which starts on shukla chaturthi or the 4th day of waxing moon in Hindu Calendar. This hindu festival is celebrated in major Indian regions including Tamil Nadu, Andhra Pradesh, Chhattisgarh, Maharashtra and Goa. It is also celebrated in some other parts of the world where Hindus are residing. Here are some Ganesh Chaturthi wishes and messages that you can express to your loved ones on the day of Lord Ganesha’s birthday. May the presence of the Lord Ganesha fill the corners of your house. 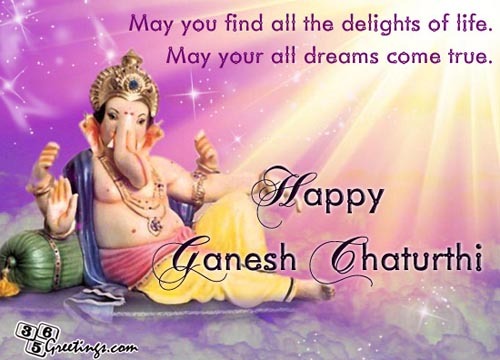 Cheers and blessing to you and your family on this Ganesh Chaturthi day! Have a cheerful Ganesh Chaturthi! 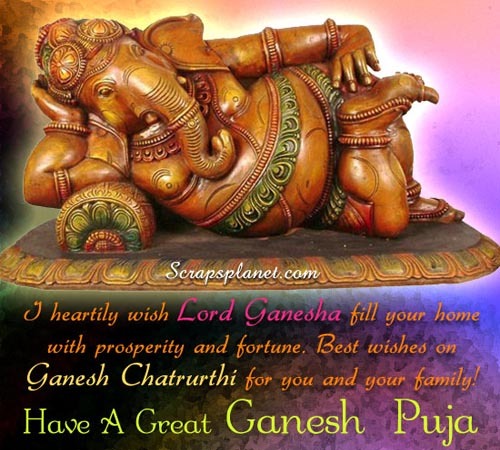 May the Lord Ganesha pours down blessings and favor to your life. Health, wealth and prosperity are my dearest wishes to you my friend. Cheers to a long life in abundance! 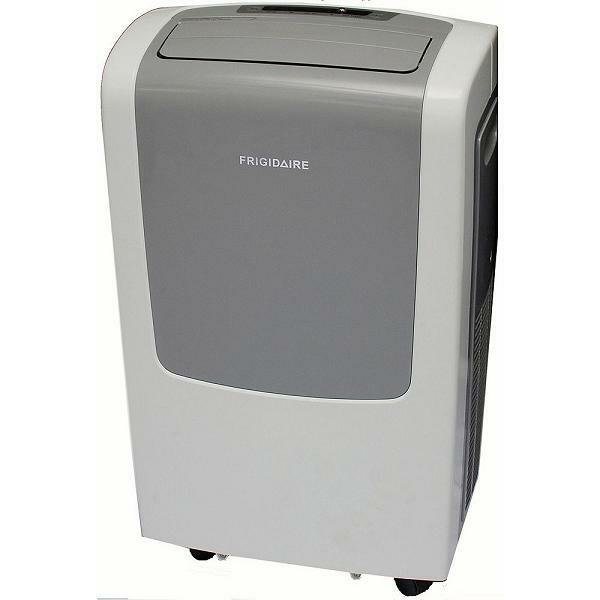 bring you massive bliss in your home. Sweet victories are ahead of you. on this day of Ganesh Chaturthi. Have faith in the Lord Ganesha that he will make your dreams come true. 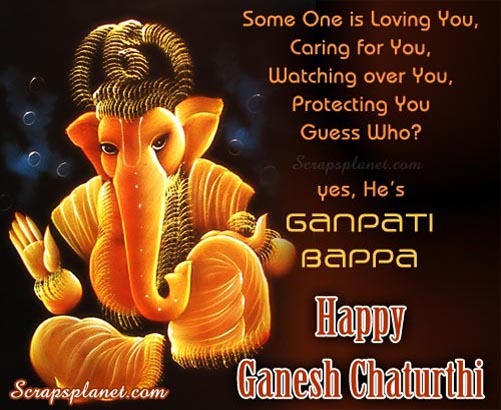 I’m sending this greeting to you with heartfelt embraces on Ganesh Chaturthi. 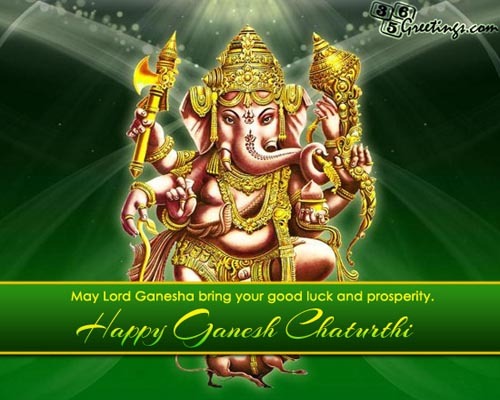 Enjoy all the blessings the Lord Ganesha will bestow upon your life. as the Lord Ganesha will enable you to do so. Keep your hands open to receive his blessings. And success in everything you do. Have a bountiful Ganesh Chaturthi. I am celebrating this day with you in thoughts and heart. I am earnestly hoping that I will celebrate this feast with you next time. Anyways, I wish you well in everything. Take care. May you receive a thousand fold of what you have sown this year. The Lord Ganesha will surely bless your way. when good friends and loved ones are around. I wish you all nothing but happiness and prosperity in life. to grant you favor, wisdom and heavenly bliss. Best wishes on Ganesh Chaturthi! 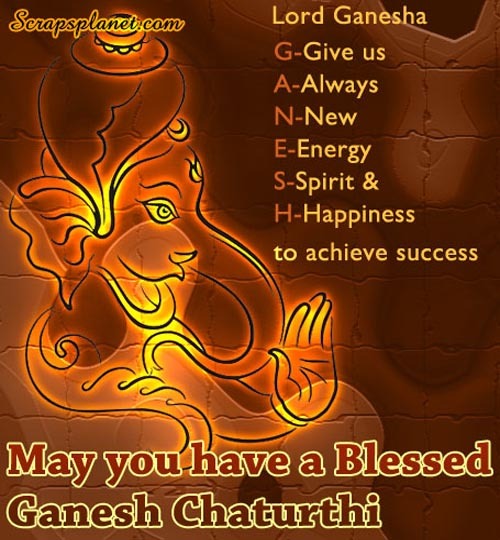 Greetings on this day of Ganesh Chaturthi! I pray that your home will have strong pillars of love, joy and peace. May the heavens bless your journey. A great day of Ganesh Chaturthi to you! May your cup be filled with satisfaction that the Lord Ganesha brings you. I know and believe that you will receive great blessings real soon. The Lord Ganesha weaves a bright future for you. I’ll share this toast with you. I wish you the happiness on this great Ganesha festival. My heart rejoices because I can celebrate this day with you. I wish that blessings will chase you wherever you go. May your ride be worry free and full of exciting adventures. 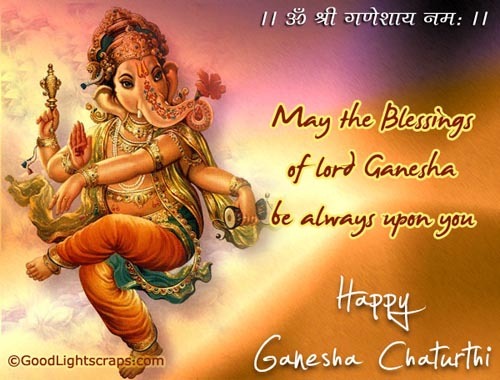 Best and warmest wishes for you on Ganesh Chaturthi festival! 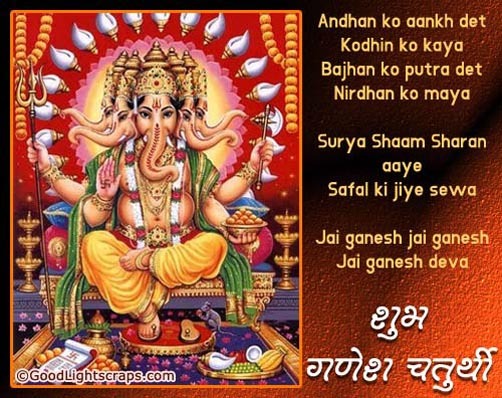 I pray to Lord Ganesh for you to have prosperous life. Don’t worry too much for the Lord Ganesha will bring answers to your problems. He will definitely bless you and your family. 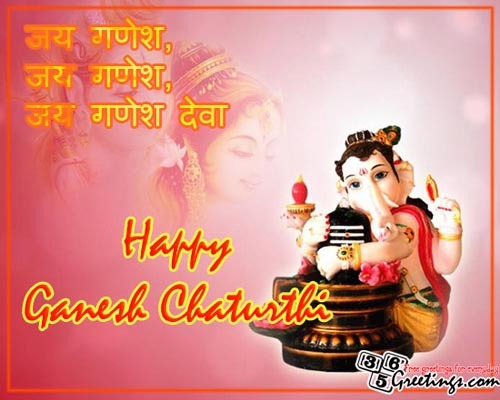 I wish you a happy Ganesh Chaturthi. May you enjoy the pleasures of this life in abundance. Would you mind bring an umbrella of faith on this day of Ganesh Chaturthi? Blessings will definitely rain upon your life. 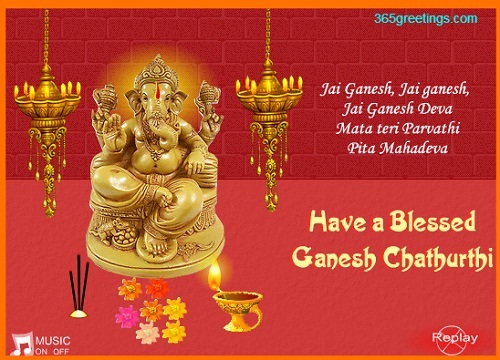 Enjoy the blessings of the Lord Ganesha. Answers to your prayers are on their way. I pray that your journey will be filled with good memories and milestones. 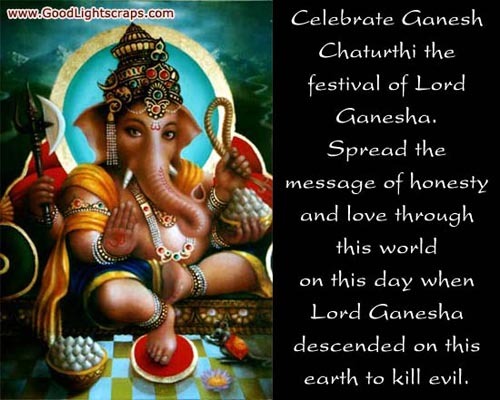 This day of Ganesh Chaturthi is a commemoration of the Lord Ganesha’s goodness. I wish you good luck and harmony in your life. 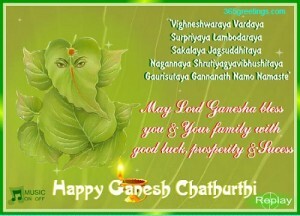 Happy Ganesh Chaturthi to you and your family. Enjoy Lord Ganesha’s heavenly treat. 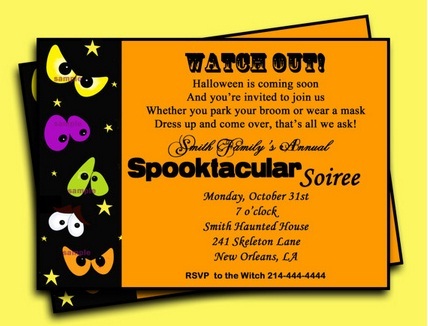 with tons of good fortune, abundance and prosperity. May this day be the start of your new, better life. 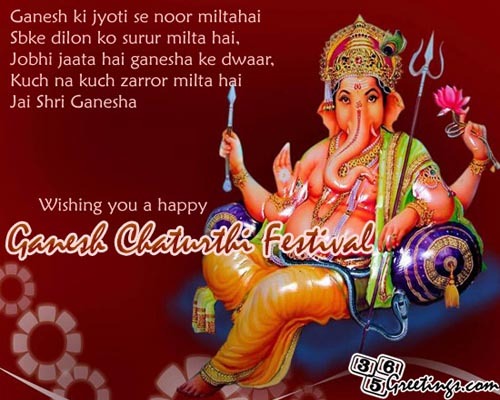 Best wishes on Ganesh Chaturthi festival! Now, if you have friends online that you want to send your greetings for Lord Ganesha, here are some of the Ganesh Chaturthi cards and ecards that I’ve found that are free to share and send. Feel free to send these free ecards to your friends and loved ones and share to social media sites like Facebook, Pinterest and Twitter.